Strategically shift resume focus from basic work tasks to bold results. An executive-level career is guaranteed to be rich in detail. Yet a common mistake I see executives make in their resume is spending too much time writing about their work and not enough time emphasizing their results. Yet what sets an executive apart from their competitors? Results! Bottom line business impacts, organizational growth, and business expansion are the big, executive-career-wins that need to be strategically packaged and positioned in a resume to generate meaningful impact. To hook and engage readers, an executive resume should be less ‘here’s what I did every day’ and more ‘here are some carefully selected big wins, which align well with your requirements’. Don’t make readers guess or hunt. Large, heavy blocks of text can bury key facts and make it difficult to decipher clear value. In addition, droning on about role oversights or daily responsibilities doesn’t provide true scale of abilities. Continue to provide succinct descriptions of performance throughout the resume, placing heavier emphasis on related metrics and achievements. Remember, less work and more results. CEO of the company for past 5 years, overseeing all aspects of company operations and reporting, including investor relations, financing, operational strategy, business development, contract negotiations, employee relations, and budgeting. Focused strategies on EBITDA growth and revenue expansion, increasing both dramatically during tenure. To create necessary operational cost-savings, closed down business unit in one city while negotiating long-term service contracts with vendors. In first year, realized EBITDA growth of 250% and increased production 360%. Continue to drive all aspects of national operations, including investor relations, financing, business development, and contract negotiations, overseeing a team of 100 and a budget of $125M. Expanded revenue from $1.5M to $11M in 5 years after implementing new sales improvement program. Reduced employee turnover 58% in 1 year after championing the introduction of a new engagement strategy. Generated $5M in cost-savings by closing down non-profitable business unit and renegotiating long-term service contracts. Pack the file with plenty of action, and mix it up. Vary your word use throughout the resume, both for keyword purposes and increased reader engagement. For example, starting every bullet point with the word “managed” does not provide depth and breadth of ability, nor will it excite the reader. Exceeded EBITDA target 6% in 2016 and 5% in 2017, achieving best financial performance of all districts. Reduced district COR $2.6M after leading the most successful tuck-in acquisition in the company’s history. Slashed TRIR score 35% in 2016 and an additional 15% in 2017 by establishing a safety committee to build an organically-grown safety culture. Additional heavy-hitting, executive action words to consider: helmed, orchestrated, spearheaded, generated, reduced, engineered, secured, raised, produced, steered…. Hammer home main themes so your unique brand and offering are crystal clear. When we share something more than once it improves the chances of it resonating. Repeat and reinforce key concepts, required skill sets, keywords, and personal impacts in your executive resume to drive home your personal value proposition and brand. The more a reader reads something, the easier it will be to remember and buy into. “Output-Oriented Leader Who Drives Revenue and Profit Growth through Continuous Improvement and Strategic Change”…. … then you need to reiterate achievements in these areas throughout the file. Give an example of revenue/profit growth in every role possible, and provide multiple examples of continuous improvement strategies or positive change. Start the resume with strong statements in alignment with this branding statement and continue the theme all the way to the very end. The goal is to back up your claim to fame, with proof! Will your resume pass the initial 6-second scan? It needs to if you want the reader to take a second, harder look. Make it easy to navigate the file, quickly. This means tightening language. Shortening statements. Defining sections. It also means delivering important details with emphasis. Various design components such as charts, graphs, bolded words, larger font/text, and the inclusion of color or shading are all good strategies to make important facts pop off a page. 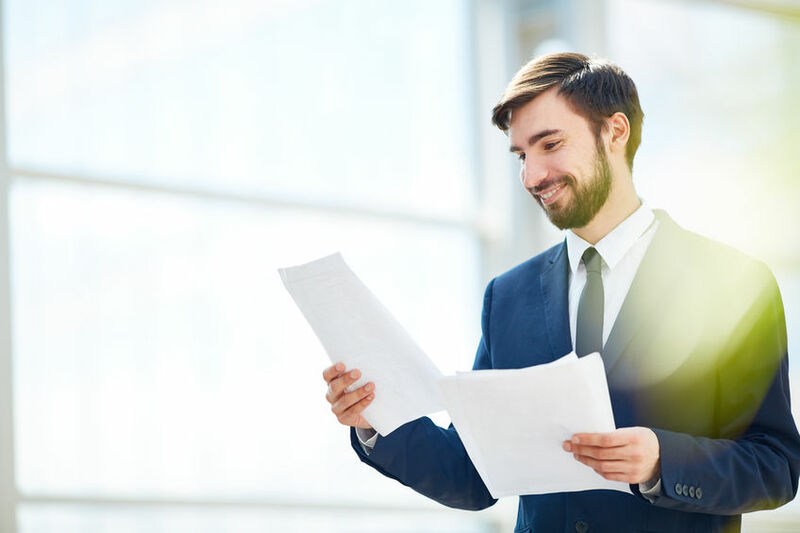 The ultimate executive resume strategy is to infuse the file with content that compels a reader to engage and learn more. Details should be well aligned with position requirements and easy to spot and absorb. Avoid work basics and deliver bold results! This post originally appeared on Career Impressions. Adrienne Tom is an international award-winning executive resume writer and job search strategist at Career Impressions. Here she partners with astute business leaders and executives across North America to generate eye-catching career tools which differentiate top professionals from their competitors, ensuring they level up, land faster, and increase their earning power. Featured in major media outlets like The Globe & Mail, Forbes, and NBC News, Adrienne is an authority on resume writing, job search, and interview strategies that move forward the careers of some of the world’s brightest business minds.